Government has expressed its desire to forsake revenue over broadband access as it races to meet its self-imposed goal of universal Internet by 2020. Mobile operators are awaiting policy direction on the availability of 800MHz spectrum, which is key for the deployment of high-speed 4G networks. “There has been a lot of debate on whether we should auction this spectrum. 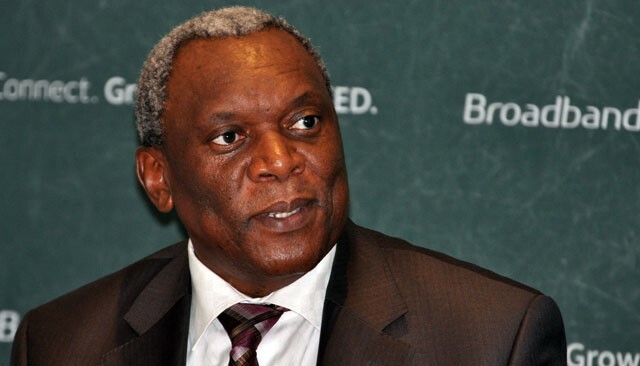 The key principle is that as government, we are not looking to making a kill out of this natural resource,” telecommunications & postal services minister Siyabonga Cwele told the media following his department’s budget vote on Tuesday. “We are really looking at making sure that it supports … sharing — we are not looking to raise money through it,” he added. Internationally, countries auction spectrum to generate revenue from mobile operators who then recoup costs from subscribers. Local mobile data prices have come under the spotlight because of the high cost to communicate. In South Africa, mobile users spend about 24,7% of income on mobile services, above the International Telecommunication Union guideline of 5%, Research ICT Africa has found. Top mobile operators Vodacom and MTN have an 80% market share in South Africa but charge more for access relative to their competitors. Research ICT Africa found that Vodacom charges R122 for an OECD basket of calls and SMSes, MTN charges R76, and Telkom Mobile charges R53. Cwele said that despite insisting on sharing, government believed that mobile operators should receive compensation for investments into next-generation networks. Some of the strategies may include tax incentives for delivery in rural areas as well as changes to the Universal Access Fund. “We are changing the format of that fund so that the money we are collecting should really be invested in the infrastructure rather than just being put in the National Revenue Fund,” Cwele said, adding that his department has been in discussions with national treasury on the proposal. The potensial issue I had with the spectrum allocation was never with government making profit off it but rather with who would get the spectrum allocations. Will it be individuals that is connected to the ruling party and it’s cronies who do not have the resources or to actually utilise the spectrum to it’s fullest or will it be the usual suspects with the resources to utilise the spectrum to it’s fullest but then afterwards exploit the consumer to the maximum level. Here I am referring to Vodacom and MTN. Spectrum should be allocated but strict conditions and obligations should set down. So, Government continues its 10 year-long obstruction of the release of High Demand Spectrum. I agree that the primary objective should not be maximising Treasury revenue. On the other hand, that’s no reason not to use carefully designed auctions as the best known method to release spectrum to Incumbents, new national infrastructure players, new national & regional service players and new regional infrastructure players. Just get on with it! We have lost so much time, and so much potential GDP growth, pandering to the incumbents’ fear of real competition.